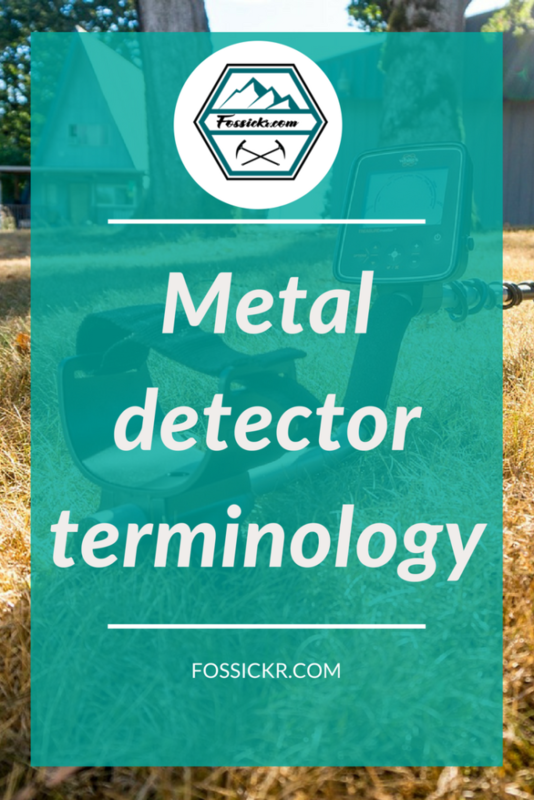 Metal detector terminology - find out what those words mean! 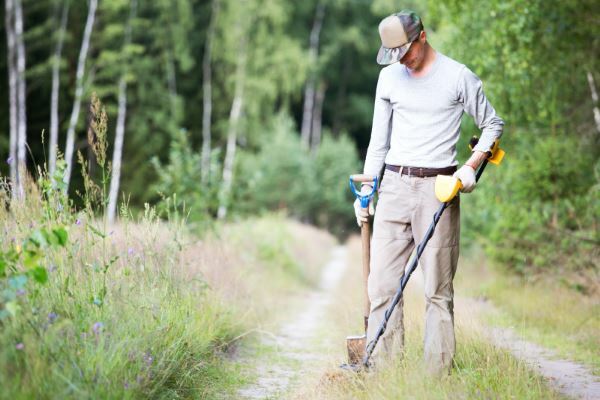 If you’re just starting out as a prospector, then you’ll find our list of metal detector terminology handy. VLF stands for Very Low Frequency (also known as induction balance). Detectors designed for finding jewelry, coins, and relics uses the same technology used in metal detectors for gold. Transmitter coil – the outer coil loop with a coil of wire inside it. Electricity is back and forth along this wire, thousands of times per second. The number of times the electrical current switches direction per second sets the frequency of the detector, measured in kilohertz and ranging from 3 kHz to 70 kHz. Receiver coil – the inner coil loop contains another coil of wire inside that acts as an antenna to receive (and amplify) frequencies coming from objects in the ground. VLF metal detectors are best for searching for nuggets that are small to medium-sized. PI stands for Pulse Induction, and it’s a less common form of metal detector. It’s used in speciality metal detectors designed to go deeper with greater ‘echoes’ in highly mineralized ground. A PI metal detector is different to a VLF metal detector in that it might use a single coil as both transmitter and receiver, or have two or three coils working together. PI metal detectors send short bursts of pulses of current through the wire coil, usually around 100 pulses per second, generating a brief magnetic field. When the pulse stops, the polarity collapses and reverses, sending a sharp electrical spike back to the unit. PI detectors are measured by pulses per second. On many modern metal detectors, the operating frequency is no longer an issue. These days, you can get detectors with two or three frequencies. There is no ‘best’ operating frequency. It depends on where you’re searching and what objects you’re searching for. The operating frequency is the number of times per second the detector transmits and receives the signal. VLF metal detectors typically range from 3kHz to 70 kHz. That’s a big variation! Low-frequency detectors are better at penetrating the ground and finding bigger nuggets at greater depths. This kind of metal detector is usually in the operating frequency range of around 5 kHz and below. Low-frequency metal detectors are better at detecting highly conductive metals like silver. Higher frequency VLF detectors are best at finding smaller nuggets and object at shallow depths. High-frequency detectors are better at detecting objects with low conductivity like gold and iron. Discrimination is the metal detector’s ability to tell the difference between objects of value and trash, so you’ll know whether you’re digging up a coin or a bottle cap or rusty nail. Discrimination can save you a whole bunch of time! A good VLF metal detector will auto adjust its settings or allow you to manually tune out trash whereas PI detectors don’t have it or struggle with discrimination. If the area you’ll be prospecting is known for its high trash density, opt for a VLF metal detector. Target identification is a nifty feature on a metal detector that will distinguish between different coins, silver jewelry, gold, and trash, and will emit a different tone for valuable objects and trash. Many modern metal detectors have an LCD screen and will display a visual representation of the object found. Objects also have a numeric value called ‘VDI’, and this will display on the screen, too. Once you get familiar with what the VDIs mean, you’ll know what your probable targets are. All soil contains minute levels of metal (like iron), which can interfere with a metal detector’s ability to find objects. Gold is typically found in areas of mineralization. Ground balance lets a metal detector to bypass minerals in the soil. Almost every gold detector comes with automatic ground balance (also known as ground tracking), but not all will allow for manual ground balance adjustment. Some models come with preset ground balance, which will work adequately in most prospecting environments.